illustration, graphic design, brochure, stickers. Gunwharf Quays. 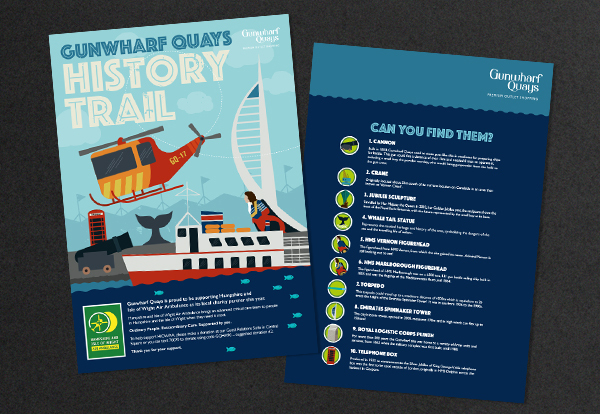 Starfish was asked by Gunwharf Quays to create a fun map and accompanying stickers for their new children's Historic Trail. 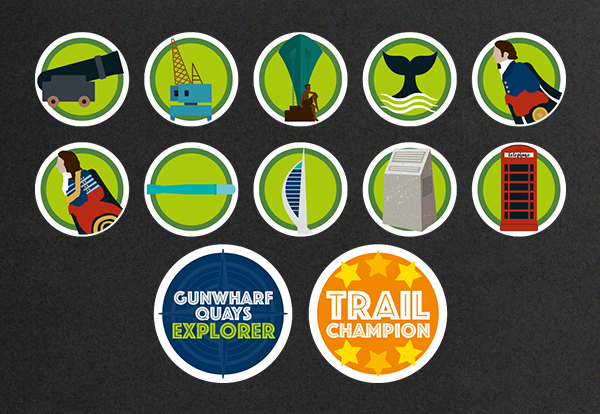 Once they have collected their pack, children can explore the site and find the artefacts illustrated on the stickers. Once they are all placed correctly on the map this is then traded in for treasure! Whilst the scheme is free, any donations to Gunwharf's local charity partner, Hampshire and Isle of Wight Air Ambulance would be much appreciated and we obviously had to add a helicopter into the illustration.